Windshield Repair Doc Indianapolis | We Fix Chips! We ONLY Fix Chips..and We Fix Them the Right Way! 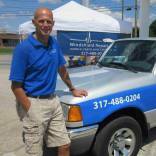 Indianapolis Windshield Chip Repair- Serving: Metro Indianapolis, Noblesville, Fishers, Carmel, Zionsville, Greenwood, Franklin,Lawrence, Avon, Speedway, Brownsburg, Southport, Westfield, Plainfield, etc.